The importance of regular physical exams cannot be understated when it comes to your overall health and wellness. 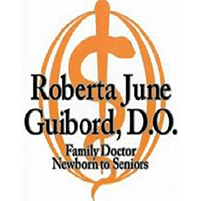 Dr. Roberta June Guibord offers comprehensive physical exams at her family practice in Perrysburg, Ohio, that are critical in monitoring your current health and preventing small problems from becoming more significant issues. To proactively maintain your health, call or book an appointment online. Whether you feel like a million bucks or you’re grappling with a chronic condition, a regular physical exam allows you and Dr. Guibord to stay on top of your health and monitor any changes that may signal something more substantial. For younger patients, physical exams are a great way to track the development of your child and make sure they're meeting essential milestones. Moving to the opposite end of the spectrum, senior patients benefit equally as their bodies undergo significant changes during their twilight years. No matter your age, a physical exam provides Dr. Guibord the opportunity to track your overall health by creating and maintaining a medical history that can play a critical role down the road. During a typical physical exam, Dr. Guibord first sits down with you to review any lingering problems and go over any new concerns. It's an ideal time to ask Dr. Guibord about any issues you may have, no matter how small. As a medical doctor, Dr. Guibord may see a symptom or pattern that escaped your notice. During this part of the exam, Dr. Guibord checks your reflexes as well as your motor and cognitive skills. Finally, Dr. Guibord typically orders blood and urine samples to be taken for lab testing. Dr. Guibord usually performs physical exams on an annual basis, but the frequency with which you should check in with her depends entirely upon your health and whether a chronic condition exists. If for example, you have diabetes, you may need to see the doctor several times a year. Or, if you’re planning a life-changing event, such as pregnancy, a physical exam provides great baseline information for your journey. To get started on the road to overall good health, call or book an appointment for a physical exam online.